You’re sitting quietly when your cat rubs against you or settles beside you asking to be petted. You happily oblige when all of a sudden, seemingly without warning, your cat bites you. You wonder what you did to deserve that. Well, for one thing, you probably didn’t pay attention to your cat’s body language. Did s/he flick the tail, twitch its skin? Did the ears move forward? These are signs your cat is giving you that s/he has had enough. Some cats are over-stimulated by petting and will swat or bite the thing nearest to them, usually your hand. It’s important to pay attention to your cat when petting so you’ll be able to read the signals telling you to stop. 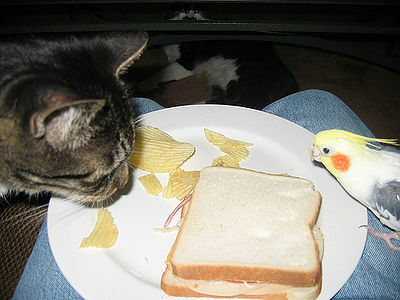 Cats that have had little or no early socialization sometimes react with a bite. Sometimes a cat sees something through the window that excites him/her such as another cat or a bird. The reaction to a stimulus can be biting whatever is nearest to the cat whether it’s a human, another cat or an inanimate object. You may be able to train your cat to accept your petting without adverse reactions. Watch your cat’s body language and learn what s/he will accept. Don’t pick up your cat for petting. Let your cat choose the comfortable spot. 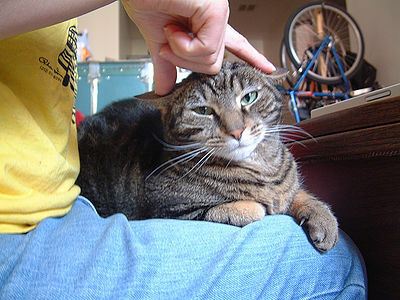 Limit petting to scratching behind the ears, under the chin or the base of the tail. If your cat rolls over on its back, stop petting. Cats are not like dogs – they don’t enjoy belly rubs. Offer your cat a tasty treat during petting times, making it an even more pleasurable experience. This is a difficult one because of our natural reactions, but if your cat does bite or scratch, try not to pull away. 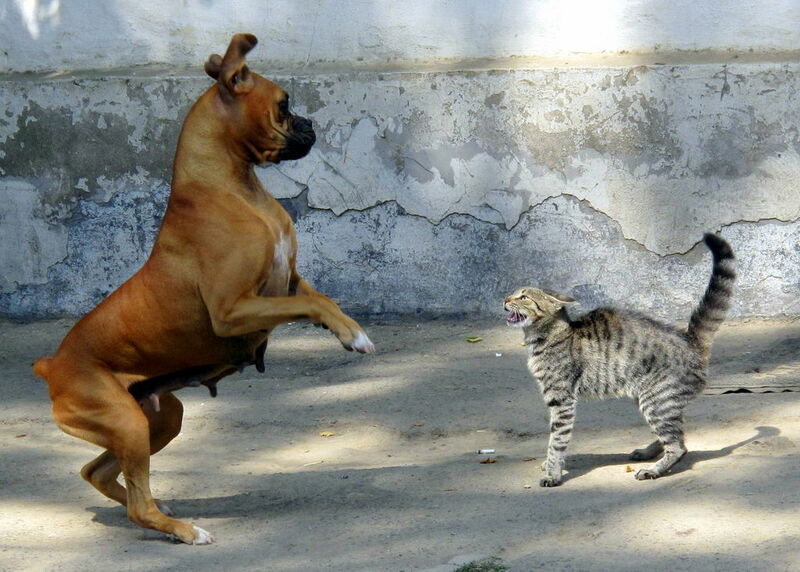 Wait for the cat to release you otherwise your injury could be worse. Whatever happens, never punish or yell at your cat. It doesn’t help and may harm your relationship. 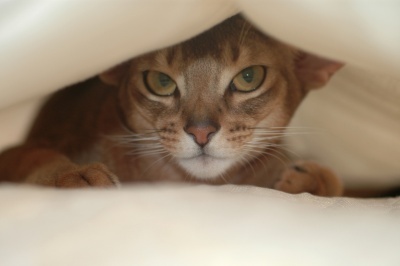 Does Your Cat Like to Hide?